Here I am. London Heathrow International Airport. 1:11pm. Twenty-three degrees Celsius. Gray skies. Eleven months, 21 countries, one visa problem and one stomach bug ago I set out for my “year”-long journey. My goals? To explore. To learn. To play. I didn’t want to change the world. And more importantly, I didn’t want to change. I wasn’t seeking enlightenment, wisdom or self-improvement. I didn’t go abroad “to find myself” in the Himalayas, and I didn’t travel to discover the secret of life in that elusive elsewhere. Nonetheless, I did search. And in the clear blue skies of the Himalayas, in the phosphorescent seas of Cambodia, in the jagged black rocks of Sicily and in the cosmopolitan bustle of Berlin, Bangkok and Belgrade I found answers. Truth, beauty and joy. In the winding, tangential, abstract manner beloved of Buddhist scriptures and Beat poetry, the world answered me. Like a garrulous friend who prattles on without encouragement, the faces and places I encountered over the last 11 months have taught me so much more than I could or would have asked of them. I will return in much the same condition I left. Zero piercings, tattoos, or drastic hairstyle changes. A few barely-visible scars. I don’t know if I look or sound like someone who has spent the last year traveling. I don’t know what such a person is supposed to look like. I don’t have any brilliant conclusions to offer. I am less certain of what I want to be doing than I was before starting this trip—whatever I found, it wasn’t direction. At this moment I mostly feel bewildered. Where am I going now? I’m going home. I guess. I’m flying to Boston, where I grew up. But since my parents moved to London while I was away, one could argue that I’ve actually just spent the last two weeks “home” here in London. Since I’ve lived and studied in Vermont, and spent a good portion of my summers there, I generally call it home now. And yet it doesn’t feel quite complete. Home is wherever there are people who love and care about you, and those people are spread out across the globe for me. 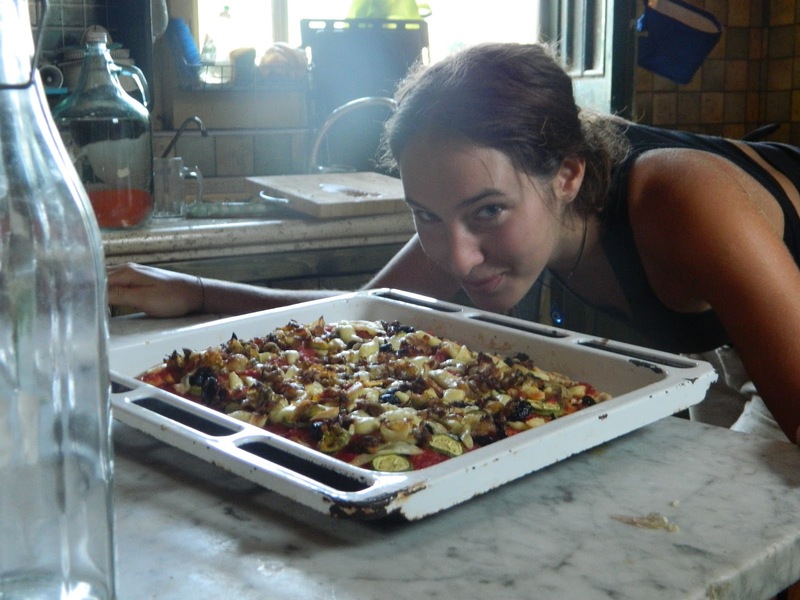 Home is where you feel welcome and comfortable, and I have felt at home after one day at a Rainbow Gathering in the mountains of Sicily, after one evening with an old friend in Hamburg, after two days with like-minded people in India. When it came time for my parents to sell the house I grew up in, I was somewhere in Southeast Asia and I felt… indifferent. As much as I had loved that house, it was only that: a house. Walls and a floor, paint colors I had helped choose and rooms upon rooms of memories, yes, but just wood and paint after all. I realized that I had begun to carry “home” with me. Home was my body. Home was the network of friends, family and strangers that stretched out in a shimmering web to catch me where and if I needed them. Home was laughter, handmade bread, and warmth—home was everywhere and anywhere I wanted it to be. So no, I am not going back. I am continuing a journey that is not defined by national boundaries, a search that is not defined by questions, and an adventure that is not circumstantial, but inherent. This life is an adventure and a journey, full of the potential for truth, beauty and joy. That is neither a secret nor an answer; it is my own personal conviction. I am going back to the United State with a broken backpack full of dirty clothes and not much else. I am going back to one of the many places I choose to call home. The answers and the secrets can wait; I have never felt more content—full of joy and gratitude—and that is enough for me. 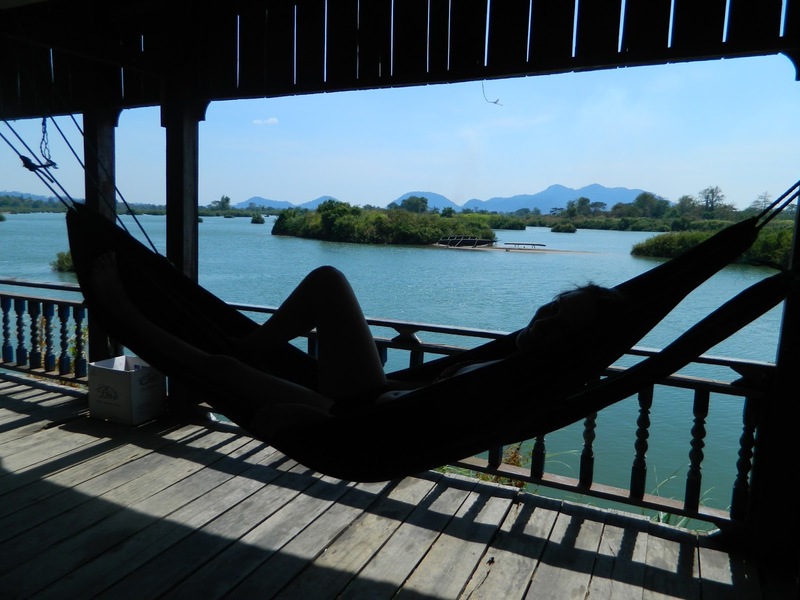 Feeling at home in my hammock, Don Det, Laos.